Something inside of me just said 'Hey, wait a minute, I want to beat him,' and I just took off. I began running about 4 years ago to prove I could do it. I have run mostly short distance events; 5K, 10K, and Halfs this year. Star Valley Half Marathon was like running in your own hometown. Everyone waved a the runners and made us feel welcome. Let’s build some stories together. 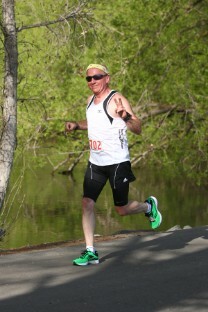 I am positive and want to encourage other runners to get the joy out of running that I feel. Run with a smile and always have fun. I consider myself a runner and I have had so much fun with others that are runners that I wonder why it took me until the age of 50 to find this out. I support and run in any event which directly affects an athlete or his/her family.